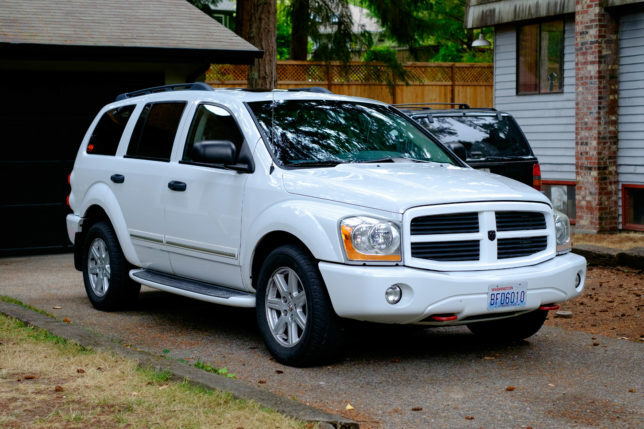 It’s been a year since I picked up my $500 2004 Dodge Durango and the car is wonderful. We’ve put around 6,000 miles on it going on family road trips and using it as a second vehicle. The 5.7-liter HEMI is a delightful engine that is smooth and has plenty of power on tap for passing and towing. It received a few upgrades along the way. The first upgrade was dumping the factory 6-disc CD changer for something more modern. Chrysler used a unique 1.5 DIN-sized radio that doesn’t have the aftermarket support as it did in the 90s. Fortunately, later model Durango’s offered a slightly larger than double DIN navigation system and I was able to buy the radio bezel from B&R Auto Wrecking for $80. I chose the Kenwood DMX-7704s digital media receiver. 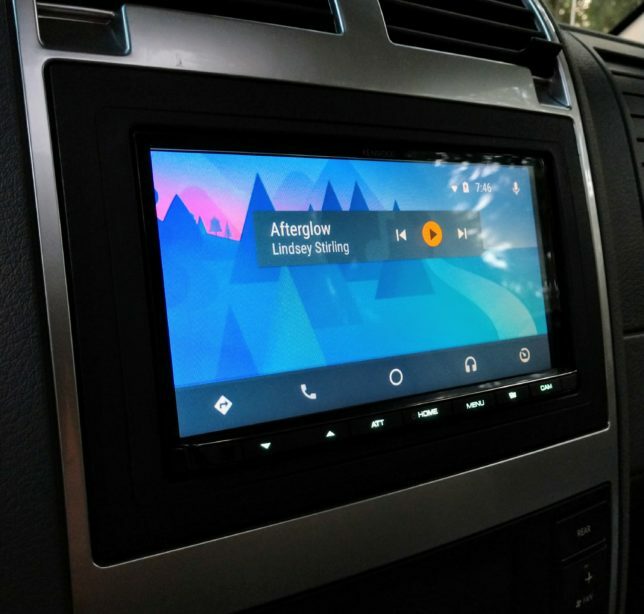 It’s a mech-less touch screen so there’s no CD player or built-in navigation capabilities, but support for Android Auto, Apple CarPlay and HD Radio, which is all I need. It came with an external GPS antenna, too, despite not having integrated navigation capabilities. Android Auto takes advantage of external GPS antennas for Google Maps and Waze, which helps in areas where your phone might have spotty GPS reception. The installation was straight forward and required using the programmable iDataLink Maestro module to retain steering wheel controls, retains the factory Infinity amplifier and provide the navigation wires (brake, parking brake, vehicle speed sensor). I even added a back-up camera to aid backing up the behemoth. Everything works like it’s a factory radio and I have no complaints. Next up was replacing the hideous chrome-cladded 17-inch wheels. There was some corrosion on them and the chrome plating was flaking off. I found a set of 18-inch wheels and tires off a Chrysler Aspen for $200. The tires had decent tread, so I haven’t put a new set of tires on it yet. Since I have two kids that occupy the back seat and live in a house surrounded by trees, rubber floormats were the next upgrade. There isn’t much aftermarket support for the Durango in that department. However, Lund International makes a set of Catch-All Xtreme vinyl floor liners for all three rows of seating and sent over set. Fitment isn’t as perfect as factory floormats, but each row contours to the humps and bumps in the car’s floor. 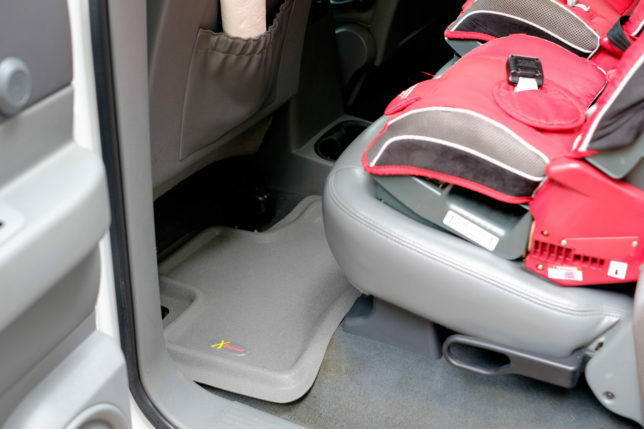 The best part of vinyl floor liners like the Catch-All Xtreme is it makes cleaning up the pine pollen tracked in from outside and my kid’s food a lot easier. Things don’t get mashed into the carpet—a quick vacuum and spray with the hose cleans it. Lund sent over a set of Ventvisors to go with the floormats, too. 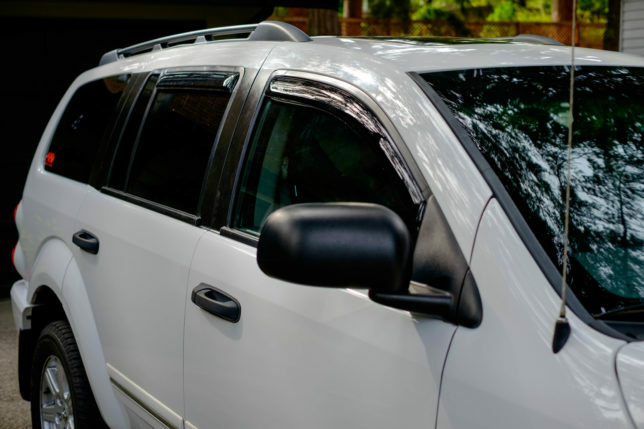 It rains a lot in the Pacific Northwest and window deflectors are a must-have to get that bit of fresh air during the rainy season without getting your door panel wet. 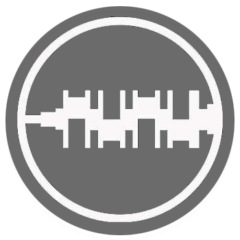 I opted for the in-channel Ventvisors since I think it looks cleaner. Lund offers a stick-on above the window style Ventvisor for those not keen on installing things in the window channel. The last upgrade is by far my favorite – new brakes from R1 Concepts. 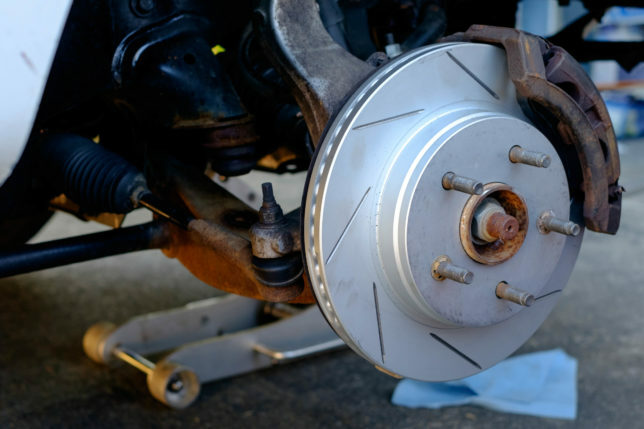 The rotors and pads on the car were extremely worn and the rear parking brake cable was stuck. I received a set of new R1 Heavy Duty low metallic pads and R1 Carbon Geomat Series slotted rotors for the project. I worked on the brakes with my dad and after many hours of hammering and cursing, the Durango had new brakes. The brake performance was a night and day difference. Chrysler didn’t skimp on the brake design of the second gen Durango and gave it the 13.2-inch front rotors and calipers from the RAM 1500 and installed 13.9-inch rotors in the back. 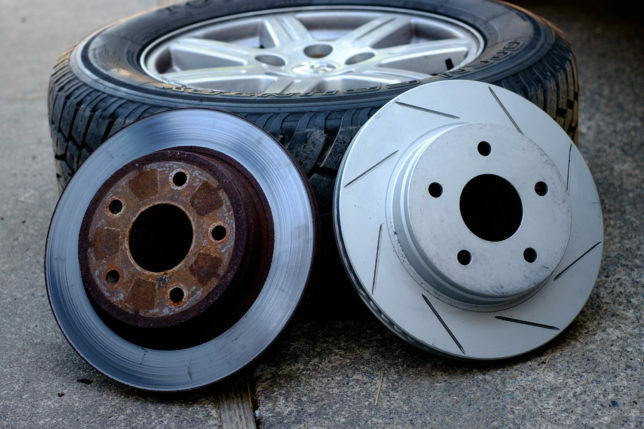 The new pads and rotors from R1 Concepts have zero problems stopping the Durango’s hefty weight. I’m still satisfied with the brakes after nearly a year of ownership and wouldn’t hesitate to use R1 Concepts for my other cars. I do have some bad news though. I ended up selling my 1997 Jeep Grand Cherokee that was supposed to be my trail rig. After having my “oh deer” moment with the Jeep last January, the car suffered some minor issues that left me stranded on the side of the road. I fixed it but sold it because I didn’t need to own two SUVs. 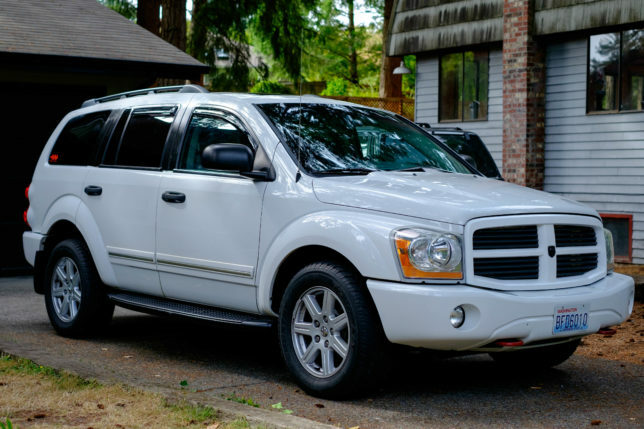 Driving the Durango with its smooth independent front suspension made it hard to go back to driving the solid front axle ZJ—the driving manners were so much better with the Durango. 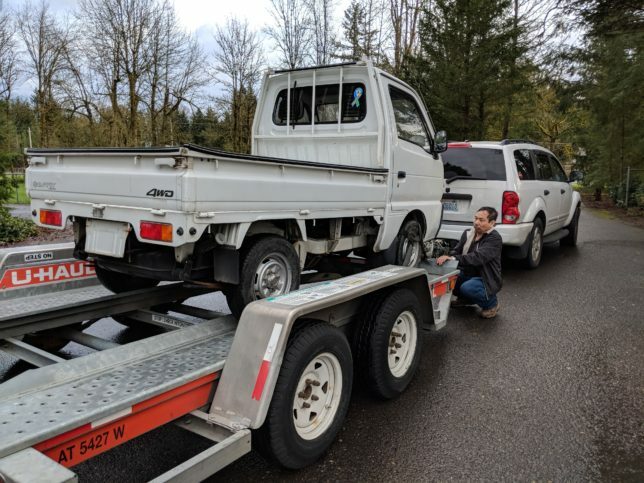 I did pick up a new project / toy car, but that’s a story for another day.